It may come as a huge surprise but once upon a time, the Super Bowl on two wheels we call the Tour de France, which requires athletes to be in tip-top shape, used to be just a bunch of cigarette-smoking, booze-guzzling men riding their bikes on unpaved roads through the French Alps. 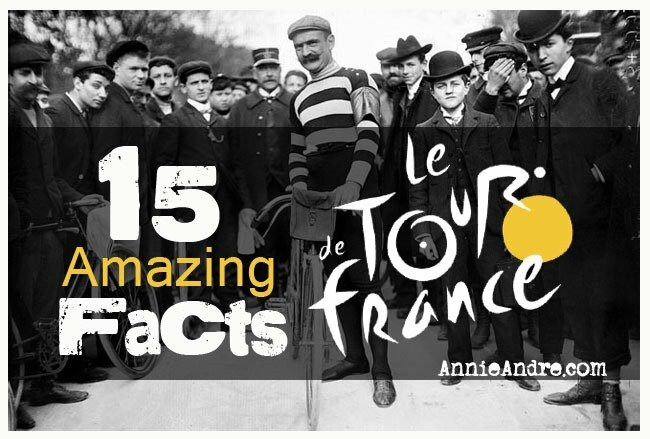 That’s not all, read on to learn more quirky and interesting Tour de France facts that will have you scratching your head in amazement. 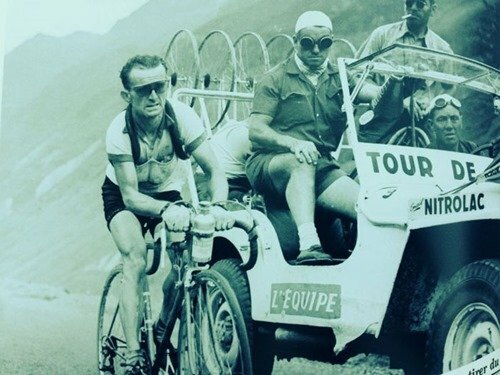 For those of you who are a bit clueless about “le Tour de France”, let me first give you a little back story on the fun and quirky beginnings of the Tour de France. 1- The Tour de France Was Originally A Sales Gimick! In November of 1902, Geo Lefevre, a journalist from the newspaper L’Auto had an idea to boost circulation of the newspaper. The idea was the Tour de France. 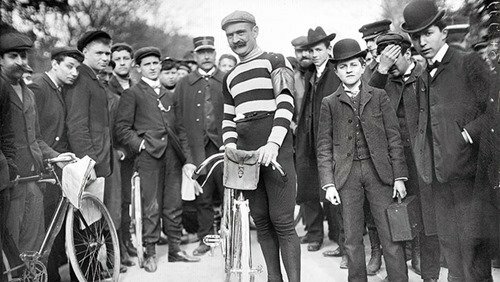 Two months later in January of 1903, the very first Tour de France was had but the circumstances and details were very different than what they are today. 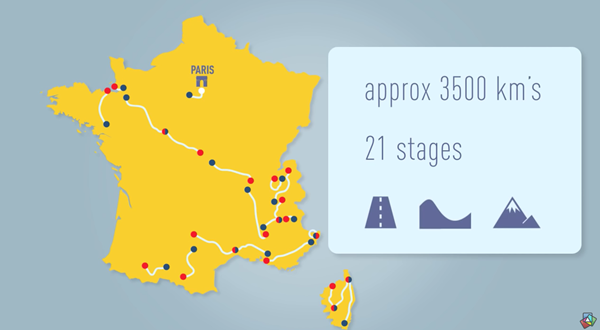 There were only 6 fairly flat stages over the course of 18 days vs. the 21 rather mountainous stages over 23 days of today. There were 60 entrants in the 1903 race vs. the nearly 200 entrants of 2014. 39 riders, roughly 60% of the 60 entrants of the first Tour de France of 1903 did NOT complete the race while only 18% of riders of the nearly 200 entrants completed the race of 2014. 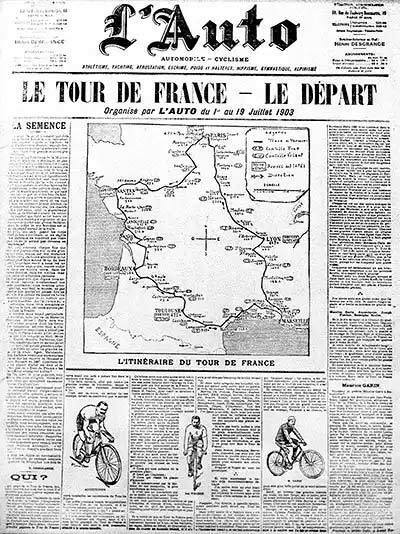 As a result of the Tour de France, not only did Geo Lefevre succeed at boosting circulation of the newspaper, he created a cycling event that would go on to become one of the biggest racing events and perhaps in the world of sports altogether. Even if you’re not an American football fan, you probably already know that it is one of the biggest sporting event in the US and one of the biggest American television events. Each year millions of Americans tune in to watch the Super Bow. Even non-football fans tune in just to watch the commercials and the half-time show which now features some of the biggest acts in music. But did you know that the popularity of the Tour de France makes American Football look like a drop in the bucket? Mainly because the world does not share it’s love for American football. In fact, the most passionately followed sports worldwide are not really all that popular in America at all. The Super Bowl looks at best like a runner-up when it comes to global television viewers. Let me put it into a little perspective for you. Winter Olympics (500 million viewers) : Not nearly as big as the summer Olympics, the winter Olympics has nearly 500 million viewers- mostly from Canada, Scandinavia and Russia. Italy’s cycling Grand Tour (775 million viewers) : This 3 week annual race which takes place between May and June not only attracts millions of live spectators, it is also watched by a yearly average 775 million people. The summer Olympic games ( 2 billion viewers): Loved the world around, the summer Olympic games attracts nearly 2 billion television viewers. Like any popular sporting event, the stakes are high when it comes to winning the tour de France. The route of the course, and the total distance of le Tour De France changes every year, however the 20 – 22 competing teams of 9 riders from around the world can expect to cycle over 2000 miles (3,500 kilometres), up and down many hills and on routes that alternate between clockwise and counter clockwise circuits of France. In the original 1903 tour, the length was 2,428 kilometres. 4- How many calories do riders burn during the Tour de France? The average Tour de France rider burns an average of 7,000 calories per day or put another way, a whopping 123,900 calories over the course of the 21-day race – 123,900! That’s the calorie equivalent of eating 1,625 apples, or 872slices of cheese pizza from pizza hut, or 252 McDonalds double cheeseburgers, or 619 original glazed Krispy Kreme doughnuts. 5- How much sweat does each rider produce during the Tour de France? Over the course of the roughly 3,500 kilometres tour de France, a cyclist will sweat about 1.5 litres per hour totalling 130 litres (32 gallons) for the entire race. That’s a lot of sweat, enough to flush a toilet over 20 times at 1.6 gallons (6 litres) per flush. 6- Why Did The Tour de France Riders Drink Alcohol? 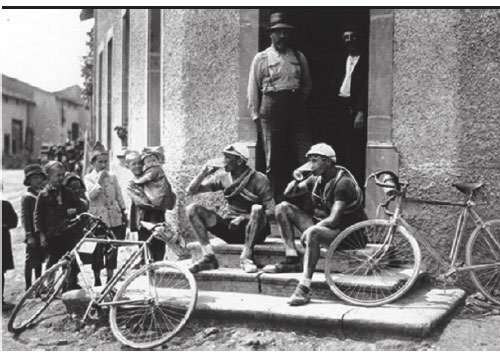 Two riders having a break on the steps of a tavern during the Tour de France: In the early 1900s beer was commonly drunk during endurance performances. There is no doubt that the Tour de France is a physically challenging event which only the fittest of athletes can compete. With this in mind, that’s what makes the following fact even more incredible. 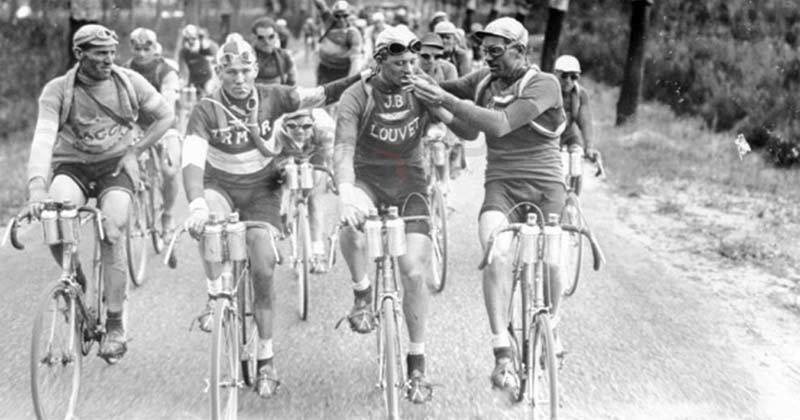 For a long time, until the 1960s, it was common for tour de France riders to slug a drink of alcohol during the race. Not only did they drink alcohol to dull the pain but they considered it a real performance booster. As you know stimulants are banned and so was alcohol eventually because it was considered a stimulant. 7- Did Tour de France Riders Really Smoke During Races? Yes it’s true, In the 20’s it was not uncommon for riders to share cigarettes while riding. Believe it or not, it was believed that smoking would help “open the lungs” before big climbs. Hah! 8- How many tires do riders use? It turns out that the Tour de France isn’t just a test of physical endurance for the riders; the Tour de France bikes suffer too. During the three-week challenge, riders combined can wear out a total of 792 tires. 9- How Fast Are Cyclist Able To Cycle? If you’re a woman and want to join the tour de France alongside other male cyclists, you can forget it. Only males can participate in the race however there was a version for women held each year between 1984 and 1989. Unfortunately It went largely unnoticed. In 2014, an all female cycling race dubbed “La Course by Le Tour de France,” was created which coincided with the 18th and 20th stages of the 2017 Tour de France and lasted 2 days. I know what a lot of you are thinking. Well of course women can’t compete in Le Tour De France. Where’s the equality in that? 11- What Countries Typically Win The Tour De France? 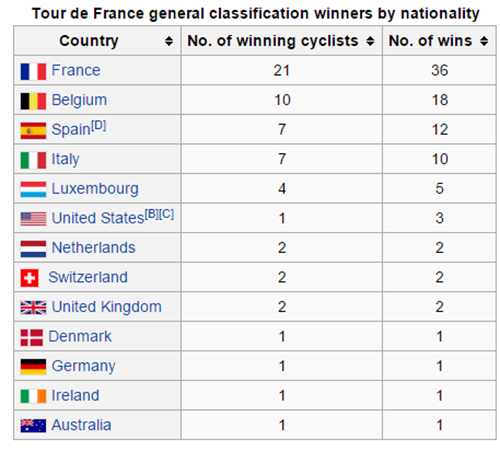 As of 2015, the French have pretty much dominated the Tour de France with the most wins (36), followed by Belgium (18), then Spain (11), Italy (7), Luxembourg (4) and the US (1). And no the one US winner is not Lance Armstrong. He lost or should I say he was stripped of his 7 titles due to doping. See the cheating section below to learn why. 12- How Much Money Do The Tour Winners Receive? The overall winner of the race receives a purse of €450,000 (about 600,000 USD) which he will usually split with his team-mates. The total prize money that is awarded for the entire race (stages, sprints, overall classification) is about 4.3 million US dollars. 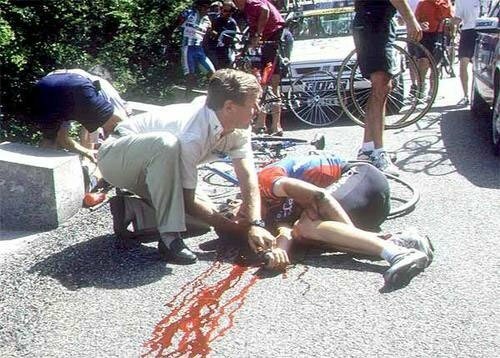 13- Has Anyone Ever Died During the Tour de France? A total of 3 tour riders have died while competing in the Tour. A fourth rider drowned during a rest day and 20 plus spectators were killed in an unfortunate accident. Below are the details. The very first fatality occurred in 1910 but the victim, Adolphe Helière did not die during the race instead he drowned during one of the rest days. The first rider to die while actually racing in Le Tour De France was Francisco Cepada in 1935, a Spaniard who lost control of his bike on the descent of the infamous Col du Galibier in the Alps when he crashed into a ravine. In 1964, a tanker truck lost control as it came around a bend too quickly and crashed through a wall of spectators over a bridge and into a canal. The accident took the lives of 20 people, and is one of the biggest tragedies in French sports history. In 1995, Italian rider Fabio Casartelli, 1992 Olympic champion died after crashing into a concrete pylon when he failed to make a turn descending down the Pyrenees Mountains of southern France at more than 55mph. At the time, it was not compulsory to wear head gear but many people speculate that he probably would not have survived even had he been wearing head gear. 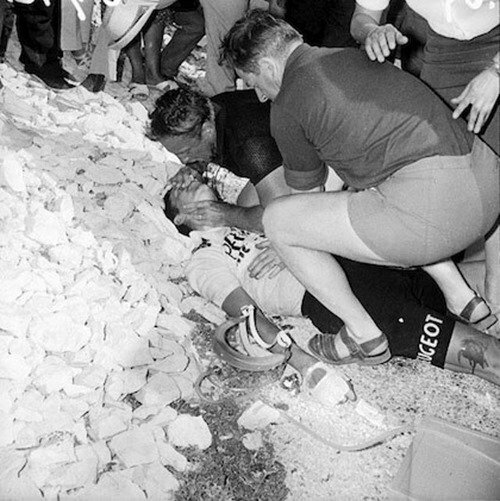 In 1967, Tom Simpson showed us just how dangerous doping can be when he collapsed and died of a heart attack 3km from the top of Alpe d’Huez. In his jersey pockets there were an array of pills and three different empty vials. His autopsy showed alcohol and amphetamines in his system as well as extreme dehydration, lack of oxygen and over-exhaustion. Apparently Simpson drank a bottle of brandy to get the meds down and tricked his body into not knowing when to quit. 14- Have Tour cyclist been caught cheating? The most famous and high profile cheating scandal is without a doubt the doping scandal surrounding Lance Armstrong who won seven consecutive Tour de France titles from 1999 to 2005, but was stripped of his titles in 2012 after a protracted doping scandal. Lance wasn’t the only person who was caught cheating during the Tour de France. Apparently cheating and the Tour de France go hand in hand and its not a far stretch to say not a year goes by in this sport without a rider being accused of less than honourable behaviour – cheating. Here are just a few of the more notable cheats in Tour de France history. The very first scandal in the history of the Tour de France involves the very first person to win the Tour de France, Maurice Garin. 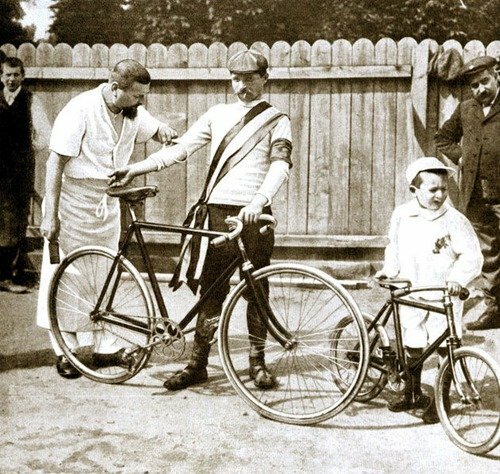 It occurred during the Tour’s second edition in 1904 which Maurice also won but was stripped of his title for cheating, along with five other participants: Allegedly Maurice and the other disqualified participants took the train during the alps part of the race. A claim confirmed by a cemetery attendant who, as a boy, heard Garin tell his stories as an old man. While some riders in 1904 were accused of taking trains or using cars to pull their bikes up hills, Hippolyte Aucouturier tried to be a little more discreet. Aucouturier, tied a piece of cork to a long piece of string and tied the other end to the back of a car. The idea was for Aucouturier to bite down on the cork and let the car tow him all the while hoping his teeth didn’t get ripped out of his mouth and hoping that no one would see the string. Guess what. someone saw the string. In 1904, after cyclist Antoine Fauré passed through his hometown,100 of his fans ran out into the street to block his opponents. Riders had to get off their bikes and find their way through the crowd to get by. 15- What technology differences existed? Prior to 1937, riders had to get off their bikes to switch gears because bikes did not have a derailleur before then. The bikes of 1903 were much heavier, made of heavy steal and wood which could weigh as much as 18 kg (39 lbs) vs. the carbon/alloy bike frames of today which weigh about 7 kg (15 lbs). I was never a big fan of the Tour de France but after living in France for years, I’ve been exposed to all it’s glamour and fanfare making me in the least a little interested in it. It’s an amazing sport that very few people can ever imagine competing in.